#AnneofCleves (1515 – 1557) was the fourth wife of King Henry VIII and was the luckiest of the eight. The union was urged by Henry’s chief minister Thomas Cromwell as a politically astute alliance. The consummation of the marriage was declared to never have occurred, as a result she was not crowned as queen consort. The marriage lasted roughly six months and ended in annulment. Thomas Cromwell argued against the cessation and for this he was charged with treason and beheaded on the same day that Henry married his next wife, Catherine Howard. Following the annulment of the marriage, Anne was accorded a generous settlement by Henry including Richmond Palace, Hever Castle, AnneofCleves’House in Lewes ( history has it that Anne neither lived nor visited her house in Lewes) and other properties. She was thereafter referred to as ‘the King’s Beloved Sister’ and eventually became a dear friend to Henry. Anne lived to see the coronation of Queen Mary I, outliving the rest of Henry’s wives and was not yet 42 when she passed. The watercolour displays Anne’s house in Southover, Lewes as we look down High Street toward St. John the Baptist Church. It is attributed to Octavia Dodson – who lived in the late 19th and early 20th century. It is not signed, nor dated so I am estimating the age from other images I have seen in my research. It may be even earlier than my estimate but not likely as early as Sussex’s most famous artist James Lambert – this of course would negate the attribution. Even so, a nicely executed and architecturally accurate representation of Anne’s house. 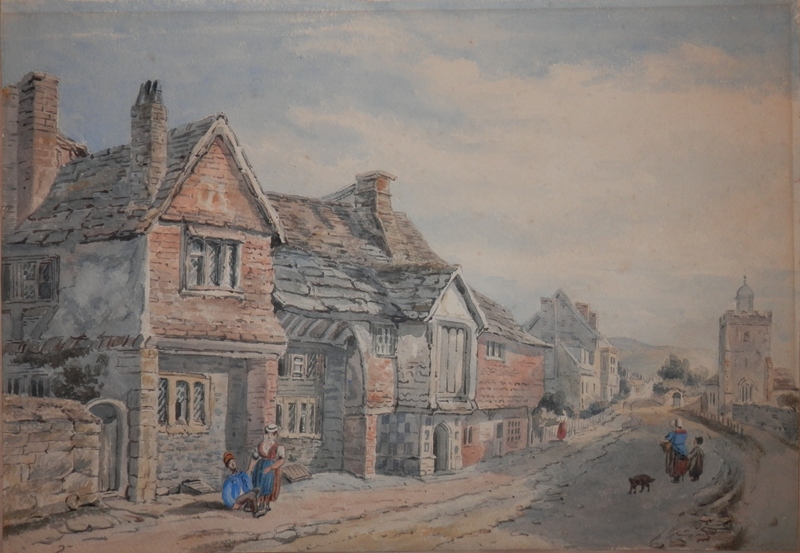 This entry was posted in Watercolour paintings and tagged Anne of Cleves, Anne of Cleves House, Henry VIII, high street, house, Lewes, Southover. Bookmark the permalink.